Kennen Sie FOR THE RIDE? Sapannende Stories über Livestyle, Racing, Touring und vielem mehr. After life, parenthood and bills put his riding career on hold for almost two decades, Jakob Nielsen roared back to the open road with a vengeance. As the family sat around the kitchen table, he casually mentioned he was bringing his Triumph out of retirement for a trip to Norway. Jakob bought the 2008 America when he lived in the UK, but rarely found the time to jump on his bike due to work and family. 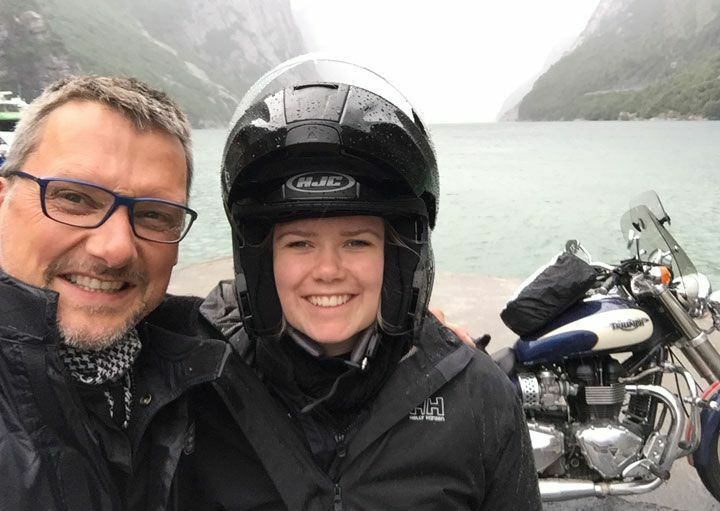 So when his 16-year-old daughter Iben said she’d love to ride pillion on his trip, 18 years of near inactivity was about to end with the family’s blessing. Hit singles don’t come easy so when he’s searching for the perfect beat, Reverend and the Makers drummer Ryan Jenkinson loves to find inspiration in the saddle. And it was no different when record label bigwigs arrived at the band’s recording studio in Thailand to watch the guys lay down the first single for their May scheduled album. 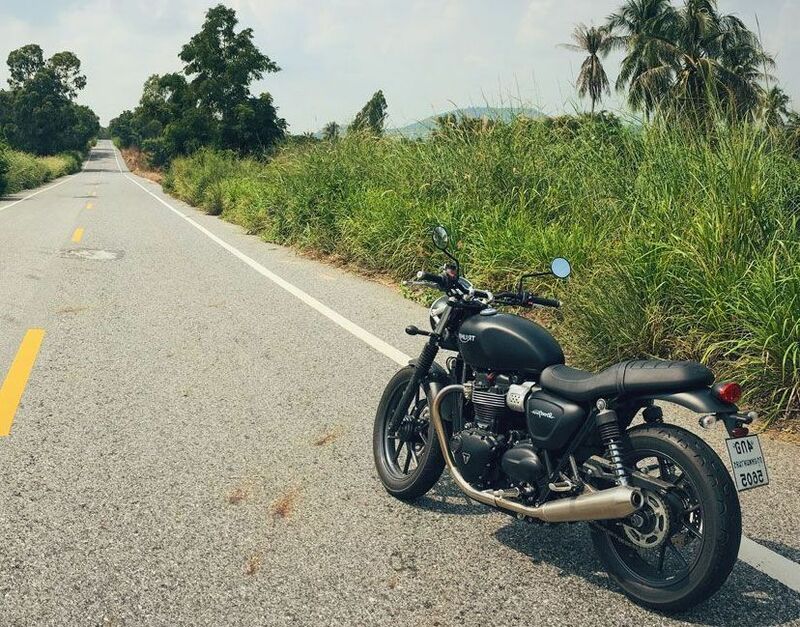 But with the pressure on, a short break in recording was just the excuse Ryan needed to jump on a Matt Black Street Twin and head to the nearby fishing village to recharge his batteries.